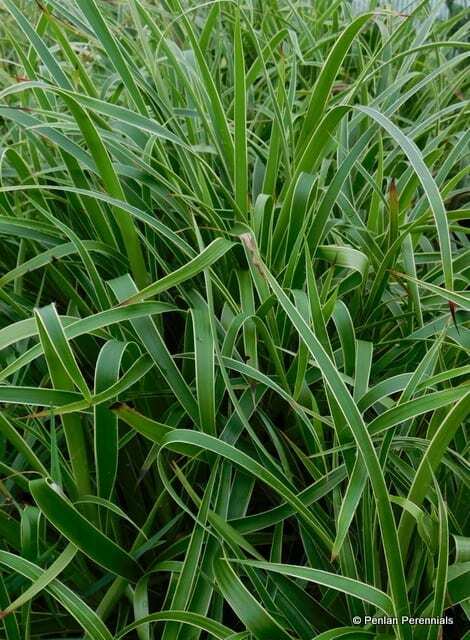 A choice selection of the Greater Woodrush, an evergreen perennial forming a tuft of glossy leaves, making impenetrable groud cover. The leaves are narrowly margined with cream and open panicles of brown flowers appear in early summer. It is not an invasive grass and spreads slowly. Excellent in dry shade but grows lushly in moist conditions. Pot size 1.5 litre. Hardiness zone H7. Cut to the ground in early spring to rejuvenate the older, tired leaves. Divide established clumps to propagate.